Here's a look at some titles we're wrapping up and a few that we hope to crack open in the coming weeks. Mountain Born- After finishing up the delightful classic, The Velveteen Rabbit, we began reading this simple tale about a young boy's experience as a shepherd-in-training. And while we are not yet halfway through it, I think it will potentially provide many wonderful applications for the upcoming Easter season. Growing Up Duggar- It's no secret that I've always enjoyed watching 19 Kids and Counting. Having read the two previously released books by the Duggar clan, it was only natural that I would want to snag their newest title. I was not aware, however, that it is book specifically written for teenage girls, not adults. And while the writing style does not grab me, I have enjoyed the book and have tucked away some parenting tips that I think will prove to be helpful in the next season of mothering. I have added this to Sweetie Pea's list of "Mom assigned" books. But, as there are a few mature topics, such as abortion and sexual purity, discussed in a few of the chapters, I think it is best kept shelved until her early teen years. Growing up Duggar has been a quick read. I have two more chapters and will then be moving on to The Talks...because I'm a firm believer that you should be prepared for the next stage of parenting long before you ever get there. And with two kids in their tween years, that NEXT stage will be here before I know it! The Babysitter's Handbook- (Mom assigned book) Sweetie Pea occasionally gets asked to babysit her one-year-old cousin, and while she watches Little Miss in our home under my supervision, she takes full responsibility and care of her. She does an excellent job and was really not in need of any "how to" resource. But, I knew that she would enjoy reading it and would be encouraged by the importance I put on her roll as "babysitter" by assigning her a special reading assignment about it. 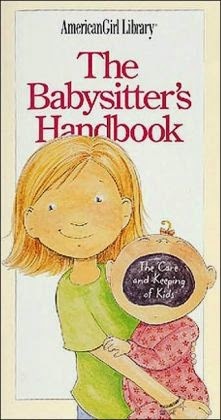 Although, this book has given her a few helpful tips, it has also caused her to disagree with a few popular parenting/babysitting practices that are suggested by the authors...for which I am glad! My Father's Dragon- (Mom assigned book) This fantastical adventure has always been a family favorite. But since he was quite young the last time I read it aloud, Super Boy is re-discovering his love for it. The Lego Idea Book- (Read for fun book) I've currently got a Lego replica of the city of Sparta growing in my basement...and by "growing", I mean completely taking over every available inch of the floor. But, that's fine by me. Who doesn't enjoy a good historical re-inactment? 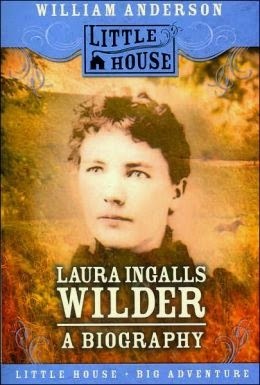 Wagon Wheels- (Mom assigned book) Disclaimer: In one particular sentence of this book, the word "Lord" is mentioned in a flippant, casual manner. As this goes against my faith beliefs, when we reach that chapter in the book, I plan on using that sentence as a catalyst to discuss with my son the importance of not using God's name in vain. Mr. Putter and Tabby Drop the Ball- (Read for fun book) When she found out that her brother enjoyed reading his first Mr. Putter and Tabby book, Sweetie Pea went online and ordered the library's entire collection for him. (Or maybe it just appears that way from my position sitting next to the mounting pile.) He's been reading a new one each day. So, that's what we'll be reading in the coming days? How about you? 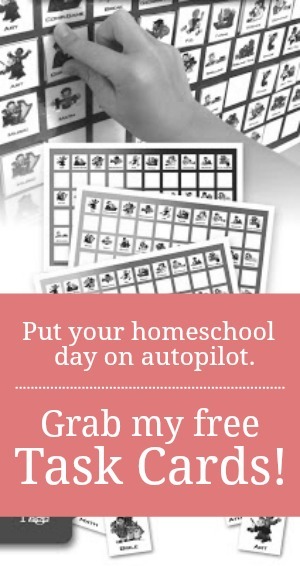 Thank you Jamie for sharing your homeschool experience. I've been silently enjoying your posts for quite some time. I love reading and I'm delighted to see that my children share my passion for reading with me. 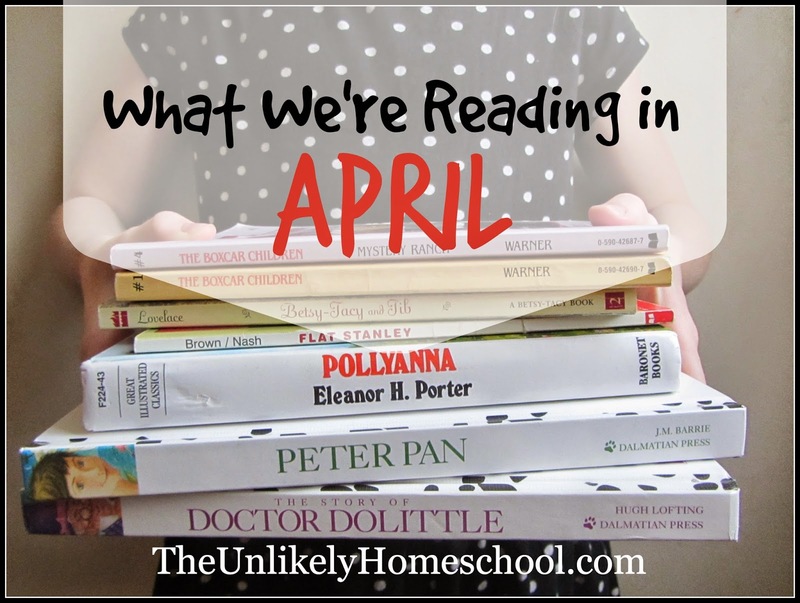 Our books for April: "Talks to the farmers" by Charles Spurgeon (Mom), "Tortured for Christ" by Richard Wurmbrand (my 5th grader); "Blacky the Crow" by Thornton Burgess (my 3rd grader); "The tale of Bobby Bobolink" by Arthur Scott Bailey (my 1st grader). Oh so many titles I've not heard of!! I'll have to check them out. Thank you so much for sharing. And thanks for sharing yours! We read the dragon trilogy a few years ago for our book club co-op, but he's since forgotten about them. I'm hoping this first book will spur him onto the other three.